Here in Washington State, we have just taken a major step in improving public safety- we have banned bouncy houses from childcare programs. Yes, bouncy houses. Schools and camps will no longer be able to offer bouncy houses for “parent’s night out”, at end of year carnivals, or for school field trips. Boy, am I relived. The proliferation of these dangerous instruments was out of control and I am glad that these inflatable menaces will no longer be a tempting birthday or summer treat for our kids. That’s why, for my daughter’s next birthday, I’ll be taking them to the gun range. That this bouncy house ban is going into effect just as the national conversation about gun regulation devolves into nothing more than a playground shouting match is not just ironic but absurd. This juxtaposition of regulation highlights the fundamental issues in the gun debate- the balance between individual rights & responsibility and the role of regulation in promoting and protecting a community. A nation, in this case our beloved United States, is just one big community and I’d like us to start acting like it. I believe that we each have a duty and responsibility as members of this community (aka citizens) to care for, protect, and behave as if our decisions affect not just our families, property, and livelihoods, but our 300 million or so neighbors. On this blog, I have committed to being “WYS”- as in, what you see is what you get, so I am going to put my objective right out there. 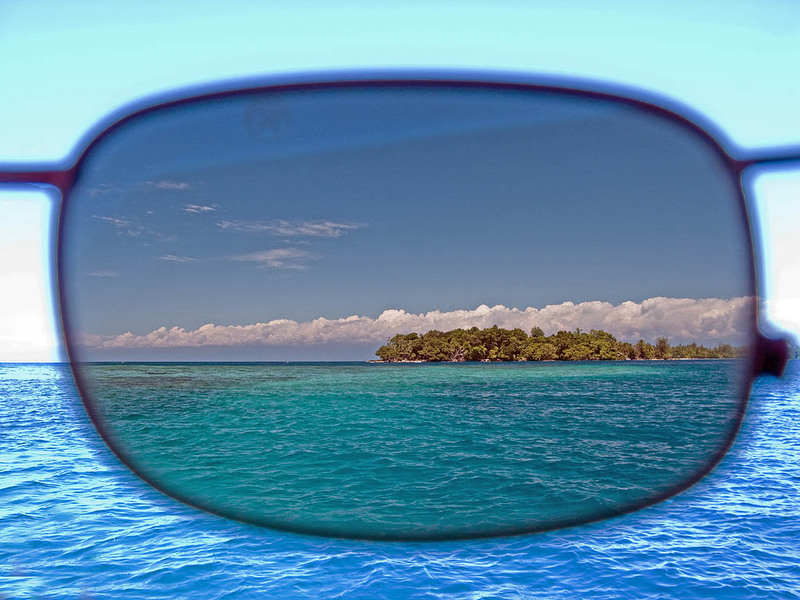 My desire is to shift us from a conversation where the term polarizing means being “at the opposite ends of the spectrum” to one where polarization introduces clarity and reduces glare- just as polarized lenses improve your vision and perception. We are trapped in the former paradigm and it’s time to change that. Let’s step away from the glare of the media and the players with big money on the line- who are in the debate, not for our community benefit, but for their own. To extend the theme of engaging in reasonable discussion, I’ll be emphatic- I don’t want to ban guns. I have been shooting (just once, but it was super fun), I support hunters and respect folks who eat what they shoot, and I fully support shooting as a legitimate and satisfying sport and hobby. Further, I don’t think that movies, TV, or video games should be scapegoated for gun violence. To shamelessly exploit the metaphor- they are an easy but unsatisfying target. Natural Born Killers, Reservoir Dogs, and Fight Club are some of my favorite movies and they have prompted me to take up neither indescriminate shooting nor MMA style fighting. Violent stories have engaged and appealed to humans for as long as we have walked the earth and will continue to entertain for as long we are exist. I’d further like to stipulate that I don’t believe there is an all encompassing “solution” to this problem either, because that would imply some static state to solve for when there isn’t one. No “solution”, regardless of how strict, or well-reasoned, or well-enforced will eradicate events whether tragic or malicious, involving guns. Just as no law or program will ever fully prevent car accidents or homelessness, we must continue as a community, to try and minimize both of these to a reasonable degree. Years ago, I worked with a wonderful, thoughtful, kind man, who happened to be a descendent of John Moses Browning, one of the most important figures in the development of automatic and semi-automatic weapons; and not surprisingly, he was a dedicated gun rights advocate. 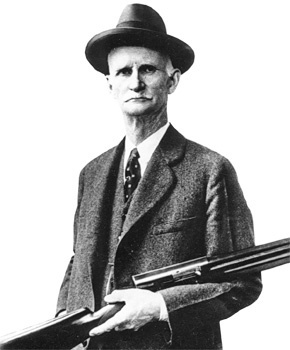 John M. Brownings’ invention and production of superior firepower surely helped safeguard and secure democracy and our freedom through the two World Wars. In discussions with my friend on the subject of guns, he would often site the fact that lowering the speed limit to 35mph would save more lives than banning guns. I would grudgingly concede the point and in response say that transportation served an essential function, and then he’d bring up WWI and WWII again. Touché. I believe now, that I missed the true heart of our discussion and I’d like to try again- I don’t want to ban guns, I want to embrace them. Guns are as vital a part of our society as food, medicine, and the internal combustion engine. We could not function as a society without them. To treat guns and gun owners as “the enemy” does a great disservice to their value and history. I never want to eliminate individual gun ownership, I want to recognize and treat guns as a national resource that we must responsibly protect and care for- as individual citizens and as a society. I want to continue to ensure millions of people of every political stripe and persuasion own and enjoy them responsibly. That being said- our food, our water, our roads, and our medical systems are all recognized and treated as national resources that require regulation and oversight to ensure accessibility, safety, and proper use. Why can’t we begin with this same premise for our guns? If we don’t begin to carve a path that allows us to do this- the public will continue to “pick sides” as tensions and violence escalates, and who wins then? No one. Yes, money will be made by those who seek to sensationalize or profiteer from fear and insecurity, but for our nation and our community to “win” we must find ways to promote and protect both the individual gun owner and the greater community good. And before you wind up the air raid siren, there is no conspiracy here. This is not a trojan horse to communism or fascism or whatever other -ism the zealots would like you fear. 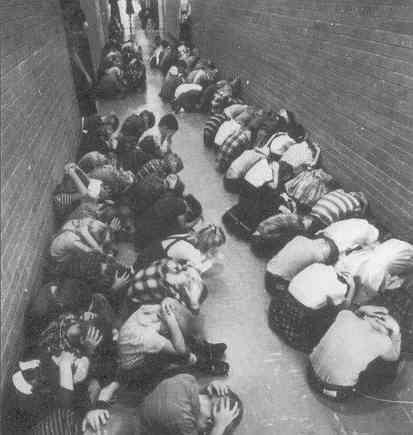 Although it pains me that my 5 year old daughters come home from school to tell me about the drills that they have done, hiding in classroom closets and practicing silence, to stay safe from the “bad guys”, I remember doing drills in elementary school where we curled up in the hallways of our school and covered our heads as protection from nuclear attack (so effective, I know! )- I can only imagine the icy fear that gripped my parents’ hearts then. Times change, needs change, and we have a responsibility to change with them. I talk to my daughters about both the dangers and benefits of guns- I refuse to participate in the kind of polarization that the current debate is pushing. To buy into the jargon and hyperbole is to do a disservice to all of our children. So, I’ll make a commitment- when we can join together and make real progress on this issue, I will host my daughter’s birthday at a gun range where a certified instructor does a demonstration of the power, skill, grace, and yes, danger that are all part of the great legacy of guns in America. In taking up this banner of “positive polarization,” I’d exhort each of us, as individuals and members of this beautiful, diverse, human (and being human; flawed) community that is the USA, to strive for the betterment of our country by entering into a good faith effort to develop reasonable, comprehensive gun regulation. I have always loved the word strive- it’s so visceral, it means “to make great effort to achieve or obtain something, to struggle or fight vigorously”. That feeling of being in the trenches, united by something larger than ourselves, evokes the hundreds of thousands of soldiers who fought and died for our freedom and still do. Though it is not simply our freedom they protect, but our safety from fear. Being free from fear relies on one of two things, ignorance or courage- and willful ignorance is the fool’s choice. We have always been a nation of people defined by our courage and we have the opportunity to be courageous yet again, with this important issue of gun regulation and the many it impacts, stretched out before us like a forbidding chasm. We can come together and build a bridge across or we can continue to march over the edge like lemmings. Join me and millions of our neighbors in taking this discussion back from the negative polarization of playground bullies and loudmouths and instead, let’s join our diverse perspectives in the kind of positive polarization that brings clarity and progress to this important issue. I’d appreciate your thoughts and feedback and hope you’ll share this if you find it worthwhile.